Even as clerics and politicians in the Arab world ring out denunciations of U.S. foreign policy and the encroachment of Western-style decadence, these gleaming emblems of American freedom are growing in popularity here, says Marwan Tarraf, who sells Harleys in Lebanon and helped organize the tour. 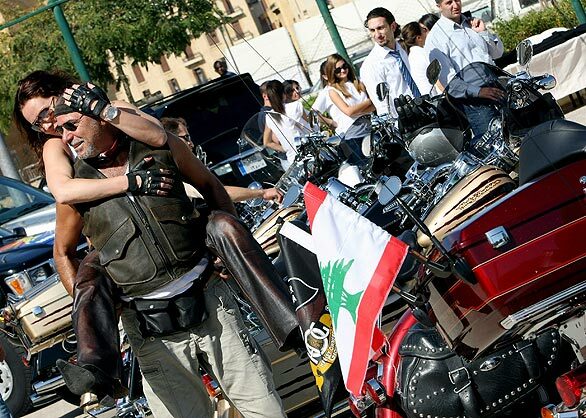 Five years ago, he knew of only 25 serious Harley riders in Lebanon. Now, he says, there are about 180. Harley clubs are popping up around the region. Talal says his chapter in Riyadh has about 300 members. They ride in one of the world's most religiously conservative countries wearing the black leather jackets, heavy boots and snarling insignia of biker gangs everywhere. Talal sees no incongruity in having the green flag of Saudi Arabia, with its sword and elaborate Koranic script, right below the glistening Harley-Davidson badge on his black denim jacket, or in playing Arabic pop music as he rides his all-American bike. In fact, he says, Saudi Arabia is the perfect place to ride. The wide roads are fantastic for motorcycles, smooth and well-maintained. Such highways are becoming more typical in the Middle East, especially in the car culture of the Persian Gulf. Dry, sunny days are also common in the region: Lebanon gets about 300 days a year of Southern California-like weather. 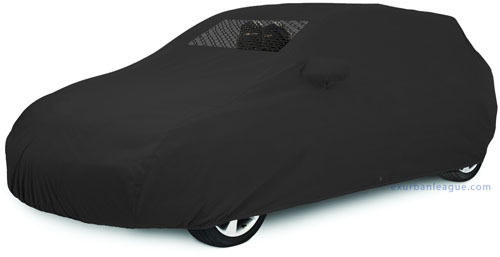 Exurban League: Iran working on Burka-mobile. Its features will include automatic transmission, parking and navigation aids and a jack for changing tires without getting grease on your chador. British car insurance company for women offers tips on modesty.